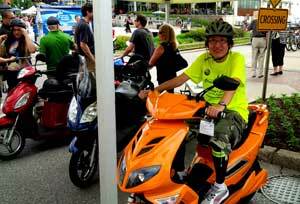 6/16/2013 – Today was Open Streets Waterloo! I started the day with biking around the Westmount Golf area, ending at King and Erb just in time for Open Streets Waterloo! When I left the house this morning it looked like the event might get rained on, but by the time I arrived, the skies were clear, the sun ways out, and the streets were filled with people. There were dancers, hola hoopers (that’s so a word right? 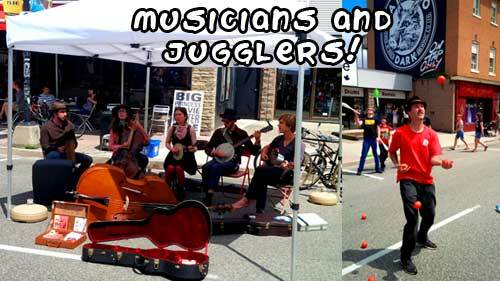 ), jugglers, wrestlers, and of course various musicians! Ever played street scrabble? 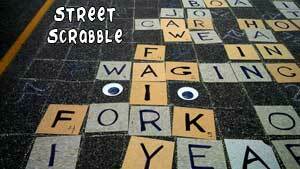 Ever played street scrabble with googly eyes involved? Anything goes on street scrabble! My friends Ashley and Amanda [and the Bad Idea Bears] have an awesome summer project of putting googly eyes on various parts of Waterloo, to symbolize the cartoon nature of Waterloo. They post pictures and blog about their adventure here, so check out their awesome work! 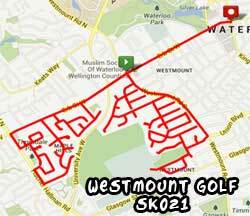 The next Open Streets Waterloo happens on July 20th! Please come out and enjoy the fun! I’ll be there, I believe I will be on official business volunteering for the event! Look forward to it!